Filling in spaces between teeth. Preventing the loss of a tooth. Restoring normal eating and chewing. Repairing damaged and decayed teeth. Replacing old, unattractive dental treatments. Restorations are needed for many reasons, including damage and decay, or accidents. Damaged teeth need to be treated as soon as possible. Besides being uncomfortable, the area may become infected and lead to more serious dental problems. Restorations are also needed after treatment of an infection, such as with a root canal. 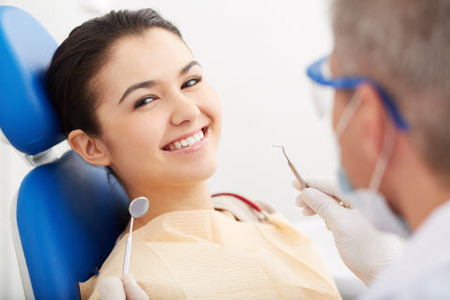 At Alex Chan, DDS we can provide complete restorations that relieve pain and let you function normally again. It is better for your overall oral health to keep your natural teeth as long as you can, and restorations help you do just that. 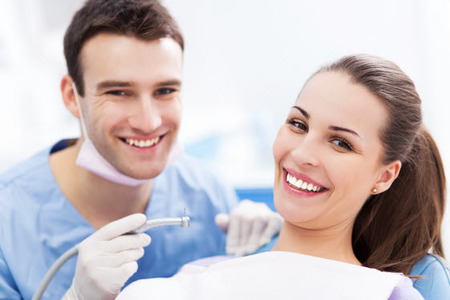 If you are living in the Bellevue, Washington area, schedule an appointment with our dental office to find out more about the type of restorations we have available. A dental crown is the best type of restoration when a tooth is missing a large portion of its enamel because it is a cap that surrounds the tooth. You can bite down with full force this way and not worry about being uncomfortable or further damaging the tooth. This is most commonly used when the tooth is severely cracked or chipped, or after a root canal. 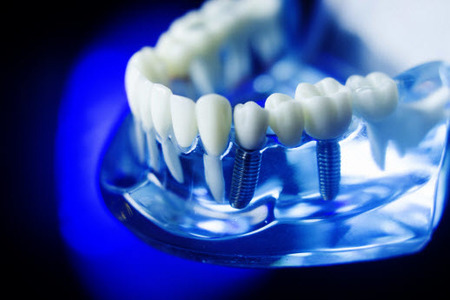 Luckily, in addition to the traditional all-metal material, crowns now come in all-ceramic and ceramic-on-metal. If only a small chip or crack damages a tooth, a veneer can be used to restore it. A veneer is a thin shell placed on top of a natural tooth and often used for front teeth restoration. We use white or natural-colored fillings at Alex Chan, DDS as a way to restore teeth with cavities. Once we remove the tooth's decayed area, replacing the missing enamel requires a filling. Traditionally, this was done using silver amalgam, but now we can complete dental restorations using natural-looking materials so that no one can tell that you had dental work when you smile. A simple bonding procedure can often benefit those who need minor restorations. This is popular when baby teeth are restored. For example, children don't need a dental veneer on a tooth that will fall out shortly. With this in mind, we can keep a baby tooth in place and make sure it works properly by using a bonding procedure to restore it. Temporary dentures can be used in many cases while deciding how you want to replace a tooth permanently. A wire similar to wearing a retainer holds these temporary dentures in place. They are not intended to be worn on a long-term basis but will help you look normal while you decide which restoration procedure to use. Patients can replace a tooth with a bridge without having to undergo surgery. In this procedure, a dental crown is placed on the two teeth surrounding the missing one. The crowns are used as anchors for holding in place a gum-colored bridge to secure the new tooth. The entire bridge is created in a local dental laboratory, and by color-matching it with the surrounding teeth, it will look completely natural. The longest lasting option for replacing a missing tooth is an implant. In this procedure, a bio-compatible post is placed under the gums and secured to the jawbone. The bone and metal combine to create a synthetic root system to secure the new tooth. Patients can maintain an active lifestyle with this type of dental restoration without worrying about the stability of their new tooth. The lifespan of a dental implant, dental crown, porcelain veneer, or other dental cosmetic restoration depends largely on how it is treated. Excellent oral hygiene and regular dental check-ups with the team at Alex Chan, DDS will extend the duration of many tooth restorations. While it may seem difficult to squeeze in the extra few minutes each day to floss and brush your teeth, it can extend the life of your dental restoration and save you money on a replacement. When you visit our team for regular check-ups, we can tell you in advance if your restoration is likely to need replacement. Other restorations may last a lifetime, such as dental implants. However, the better you care for your restoration, the longer it is likely to last. Poor eating or hygiene habits may require replacements to be restored earlier than needed. Whether a tooth has been knocked out or fallen out as a result of an infection, it can be replaced in several ways. If tooth loss is keeping you from ideal oral health and dental appearance, you owe it to yourself to explore your options for replacement. Call our dedicated team today to schedule an appointment and consultation to determine which procedure is right for you.